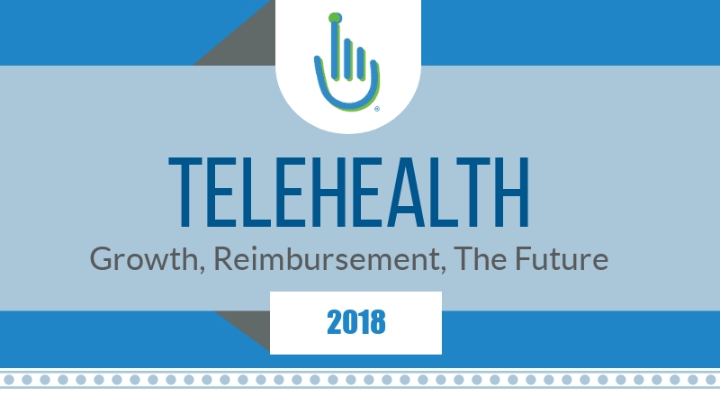 Download our new Telehealth Billable Codes Infographic to learn more! Navigating the tricky landscape that surrounds telehealth billable codes can be a tough process on your own. Especially since telehealth is a relatively new care method for a widening patient population. In addition, the guidelines that govern telehealth reimbursement are still forming and vary from state to state and payer to payer (Medicare, Medicaid, or Private payers). For instance, Medicare only covered live video telehealth services but did not provide pre-recorded or asynchronous telehealth reimbursement. However, such rules and many more are subject to change after new telehealth billable codes come into effect in 2019. Bottom line: Which telehealth billable codes you should watch for depends on your state, practice, and the third-party provider. Therefore, you will need to do some research of your own to fully grasp how telehealth can affect your practice. But here are some basic guidelines for your practice that will help steer you through those muddy waters. All parity laws mandate coverage for live video telehealth. However, state laws governing commercial insurers do vary. Some states specify restrictions and exclusions, while others, like Alaska and Hawaii, require payers to cover pre-recorded or asynchronous telehealth reimbursement. And regardless of state parity laws, some private insurers choose to cover telehealth services for all or a select segment of their members. That is why it is essential for you to verify that the patient’s insurance covers telehealth services beforehand. The recent flood of telehealth legislation can make determining your state’s policies difficult. That is why it is important to contact your state Medicaid program to verify your specific telehealth guidelines before billing. Telehealth billable codes under Medicare has the most restrictive policies for reimbursement. Providers are eligible for reimbursement only for certain telehealth modalities, services, and locations. Medicare limits coverage to live video telehealth for office visits, office psychiatry, and provider consultations. But, as stated before, for now, asynchronous telehealth reimbursement is only covered in Alaska and Hawaii. In addition, reimbursement for telehealth under Medicare is heavily restricted to geographic location. The location of the patient, known as the originating site, must be a rural location as defined by the Health Professional Shortage Area or in a county that is outside of a large metropolitan area. Furthermore, while the provider can be remote, the originating site must be a medical facility, such as a hospital, rural health clinic, federally qualified health center, nursing home, or community health center to name a few. Naturally, many policymakers and healthcare providers alike view the telehealth policies under Medicare as burdensome. Because of the barriers to growth, Congress is currently drafting innovative policies to expand telehealth services and enhance the patient experience under Medicare. In early July 2018, CMS opened the door for virtual visits to established patients regardless of the patient’s location. Effective January 1st, 2019 this new rule would loosen some of the constraints on telehealth services under Medicare. But those constraints still apply to non-established patients. Still, these proposed changes could be beneficial to providers who utilize live video telehealth services to communicate with patients. Pursuant to the proposed policy, providers would be allowed to perform 5-10-minute remote, virtual check-ins with established patients and could bill for the service. Similarly, CMS proposed to create an entirely new code to allow for asynchronous telehealth reimbursement through Medicare. To be billable, the patient would have to submit a still image or pre-recorded video to a qualified provider for review. Like live video telehealth described above, this remote evaluation service is not meant to replace in-person medical visits but to determine whether an office visit is necessary. Telehealth services are poised to rock the healthcare industry in 2019. An available market and high patient demand make these proposed changes highly desirable. Moreover, with regards to cost and resource conservation, the sheer volume of time saved in administration management and scheduling makes these proposed changes likely to pass. Download our new Telehealth Billable Codes Infographic to show to your team today!